Per his military service record (regimental no. 4460), Charles William Gordon Conroy was born at Thames, New Zealand. He gave his age as 41 years and 6 months, his marital status as married, and his occupation as chemist. His description on his medical was height 5 feet 4 ¾ inches tall, weight 9 stone 2 lbs., with a fair complexion, grey eyes, and brown hair. His religious denomination was Church of England. He claimed to 6 months previous military service with the Rifle Corps, Waihi, N.Z. He undertook his medical on the 25th October 1915 at Orange, and was attested on 25th October 1915 at Orange by Captain Nicholas, “Gilgandra Recruits”, on the day the Coo-ees left Orange. After completing the Coo-ee March Private Conroy went to Liverpool Camp as reinforcement for the 13th Battalion. On his embarkation roll his address at time of enrolment was Orange Post Office, N.S.W., and his next of kin is listed as his wife, Mrs. M. J. Conroy, Orange Post Office, N.S.W. Private Conroy departed Sydney on the HMAT A70 Ballarat along with a group of other Coo-ees on the 16th February 1916 as 14th Reinforcement for the 13th Battalion. A note in his service record reports that Private Conroy was found guilty on 9th March 1916 while on the HMAT A70 Ballarat en route for Egypt of being absent without leave and breaking ranks at Columbo on 7th March 1916, and was fined £1. Private Conroy arrived in Egypt on the HMAT A70 Ballarat on 22nd March 1916. 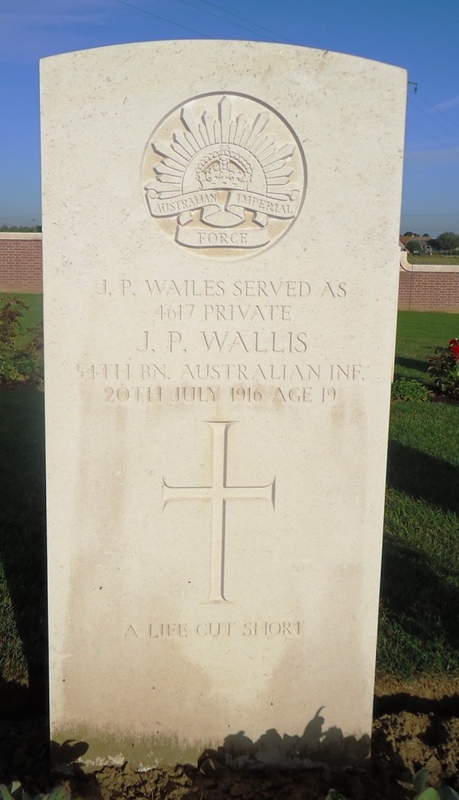 On the 1st April 1916 he was transferred to the 54th Australian Infantry Battalion. While in Egypt he was sent to the Field Ambulance at Katoomba Heights on 23rd May 1916. He was discharged from No. 1 Field Ambulance at Ferry Post and rejoined his unit on 26th May 1916. Private Conroy participated in the 54th Battalion’s attack on the Germans in the Battle of Fromelles on 19th/20th July 1916. He was reported missing on 19th/20th July 1916, which was changed to be reported as Killed in Action 19th/20th July 1916 on 28th July 1916. 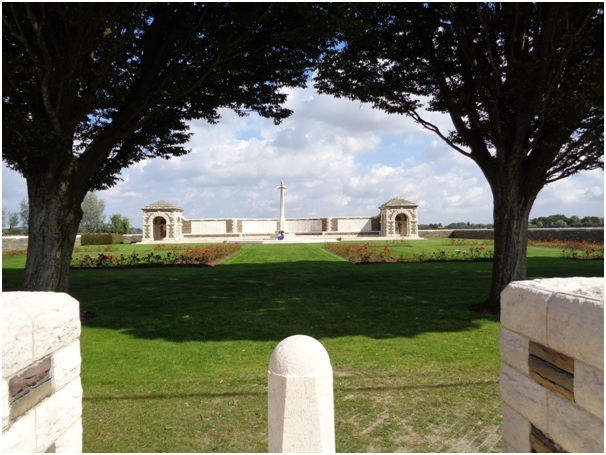 Private Conroy has no known grave, and his name is commemorated at the V. C. Corner Australian Cemetery and Memorial at Fromelles, France. 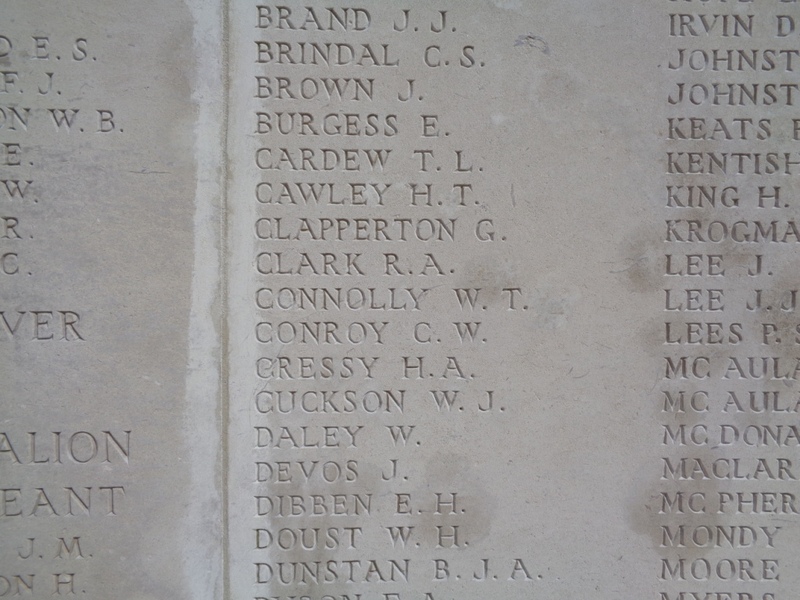 Private Conroy’s name is also commemorated on panel 158 on the Australian War Memorial First World War Roll of Honour.